It’s been a long road for Teenage Fanclub since its masterpiece, Bandwagonesque, famously beat out Nirvana‘s Nevermind to be named 1991’s best album by Spin. After Bandwagonesque solidified the Scottish band’s jangly, harmony-soaked pop sound, Teenage Fanclub gracefully began releasing a string of follow-ups; many were hits in the U.K., but few made much of an impact in the States. Which is ironic: Ever since Bandwagonesque, the group has been refining a stew of influences that skew strongly American, from The Byrds to The Beach Boys to Buffalo Springfield to Big Star — a ringing paean to the power of massive hooks and happy-sad vibes. 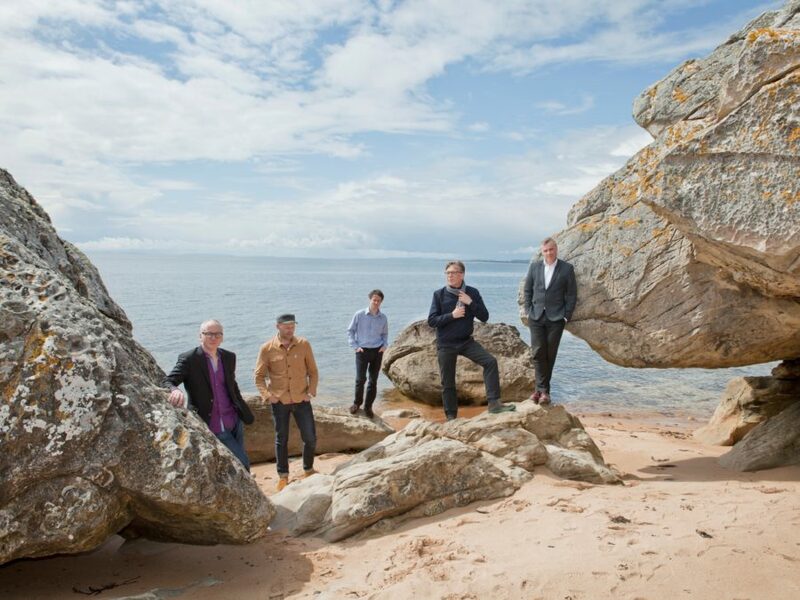 As usual, Teenage Fanclub divides its songwriting duties. Blake, guitarist Raymond McGinley and bassist Gerard Love contribute equally to the composition of Here, with each founding member writing and singing four songs. For his part, McGinley provides tracks like the ghostly “Steady State,” a shimmering folk-rock hymn to cosmic empathy: “One voice in the universe, she don’t need prophecies to guide her / Sit down by the fireside, I feel the energy inside her.” It’s as hippie as the band has ever gotten, but executed with hushed grace and winning earnestness. There’s still plenty of Teenage Fanclub’s patented power-pop to be had, too — most spectacularly in Love’s “Thin Air,” an Alex Chilton-like rush of distorted, honey-coated riffs and heart-sick desperation. The album does tinker here and there with the tried-and-true Teenage Fanclub formula, if ever so gently. Sung by McGinley, “I Was Beautiful When I was Alive” channels Neil Young‘s rootsy shuffle while summoning a hypnotic, synthesizer-infused, Krautrock-by-way-of-the-Pacific pulse. It also encapsulates the album’s embrace of life’s mysteries, which, as Love acknowledges, only deepen with age: “Gonna close my eyes / Sail on through imagination / Don’t expect no explanation.” Poignant and bittersweet, Here is a record about things slipping away and being clutched tighter as a result. “Simple pleasures are all we need,” McGinley sings with gentle wisdom in “Hold On.” When it comes to Here, that sentiment might as well be Teenage Fanclub’s mantra.